Facing the problem of Rohingya Muslims, Myanmar’s State Counsellor Aung San Suu Kyi on Thursday likened the issue to Kashmir and said that there is the trouble of sifting terrorists from innocent citizens. Suu Kyi told the media here that there was a need to differentiate between terrorists and innocent people and India was well versed with it, as it had been tackling the issue in Kashmir. “You in India will be very well versed in this. Because (there is) a large Muslim community in India and in places like Kashmir, you had this trouble of sorting out the terrorists from the innocent citizens and all those who are not involved in the terrorist movement at all. So we have the same problem,” she said. 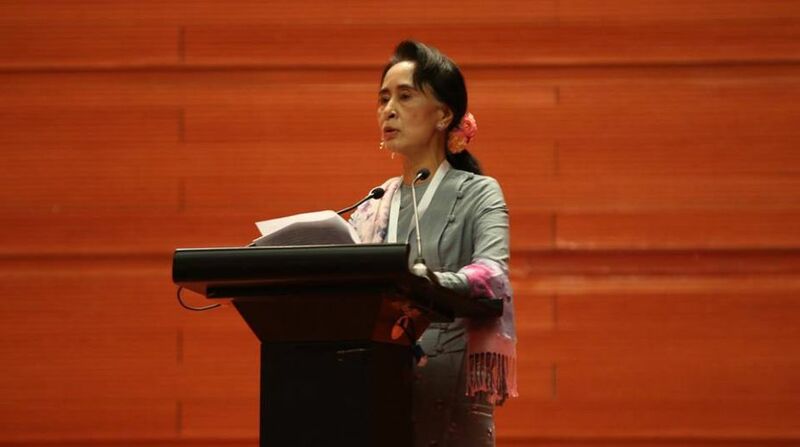 Suu Kyi said the Myanmar government had tried to provide security to all those residing in the country. “We have to take care of our citizens. We have to take care of everybody who is in our country whether or not they are our citizens. It is our duty and we try our best,” she said. Thousands of Rohingyas are crossing over to Bangladesh — where they are sparingly given refugee status — to escape from the violence in Rakhine state. Media reports quoted the UNHCR spokesperson in Bangladesh as saying that at least 123,000 Rohingyas have crossed over in the past few days. India also faces the problem of Rohingyas fleeing into the states bordering Myanmar. Prime Minister Narendra Modi had said after his talks with Suu Kyi on Wednesday that India shared Myanmar’s concerns over the situation in Rakhine state and the loss of lives of security personnel and innocent people in the violence blamed on insurgents from the minority community. Modi hoped that whether in the peace process or resolving a “specific problem”, all stakeholders worked together to find a solution to ensure peace, justice and dignity for all by respecting the unity and territorial integrity of Myanmar.